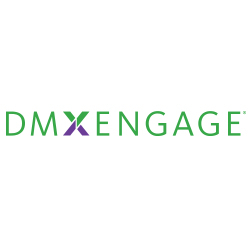 The DMXENGAGE team are curious problem-solvers by nature, and utilize our depth of experience in data-driven digital and direct marketing to create integrated behavioral marketing campaigns that drive our clients’ businesses forward. Our team’s unique ability to dive deep into data and use it to integrate direct mail, email, social media and more gives us the ability to connect with our clients – and their clients – where they live and where they make decisions. Data is more than just a set of names or numbers; it drives everything we do.